Such was the resonating impact of the tragic Boston bombings of 2013, that Hollywood currently has a trio of films in the works based on the real-life event. Alongside the Jake Gyllenhaal-led Stronger is the slightly troubled Boston Strong – which has since lost Casey Affleck and Daniel Espinosa – and finally, there’s Patriot’s Day. Earlier this year, we brought you the news that Ted 2 star Mark Wahlberg is all but confirmed to topline the drama as Commissioner Ed Davis, and now Variety has the skinny on a potential reunion with his Lone Survivor director, Peter Berg. In development at CBS Films, it’s understood that Berg is in final negotiations to helm the pic, which would certainly set the wheels in motion compared to the flailing Boston Strong. Bridge of Spies scribe Matt Charman is penning the screenplay for Patriot’s Day, which is being constructed in tandem with 60 Minutes, a news program that chronicled the heroic actions of Davis on that fateful day. At the time of writing, neither Wahlberg nor Berg are locked for their respective parts, though early signs are positive, with Wahlberg also set to produce the dramatization. Besides, throughout the course of his career, Berg has shown a keen interest in the genre of dramas inspired by real events. Friday Night Lights, for instance, was based on a true story, while the filmmaker also has Deepwater Horizon simmering in development, a project that also stars Mark Wahlberg. 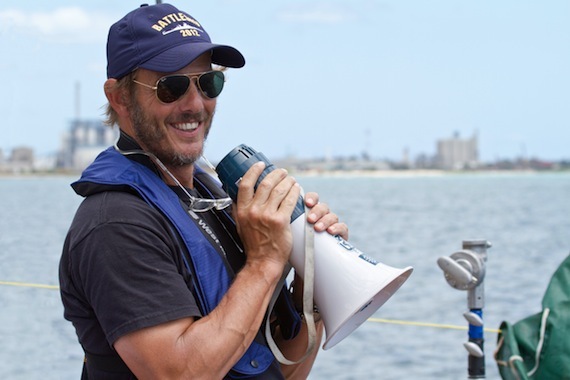 Tell us, what do you make of Hollywood’s in-development Boston marathon projects. Indeed, does Patriot’s Day sound the more promising of the pack? Let us know below.